Jill Weinstein, a founding partner of Pedersen & Weinstein LLP, has been practicing employment law since 1997. Early in her career, Ms. Weinstein represented employers at prominent defense firms in Indianapolis and Chicago, an experience that has provided her with valuable insight as she has exclusively represented employees for well over a decade. Ms. Weinstein has personally litigated hundreds of cases, and has been lead counsel or co-counsel in both federal and state jury trials. In addition to her trial work, Ms. Weinstein has extensive experience negotiating severance packages, representing clients before administrative agencies, as well as handling matters in alternative dispute resolution such as private mediation and arbitration. Ms. Weinstein attended Indiana University School of Law — Indianapolis, where she graduated first in her class. Prior to forming her own firm in 2004, Ms. Weinstein worked at Stowell & Friedman in Chicago, where she represented employees across the country as well as class members in two gender discrimination class actions. Ms. Weinstein was one of the attorneys who tried the case of a former Merrill Lynch employee which resulted in a $2.2 million verdict in the employee’s favor. In recognition of her achievements, Ms. Weinstein has been awarded the top “AV” rating by Martindale-Hubbell, one of the most respected peer-review based rating services for attorneys. According to Martindale-Hubbell, its peer-review rating is an objective indicator of a lawyer’s high ethical standards and professional ability. 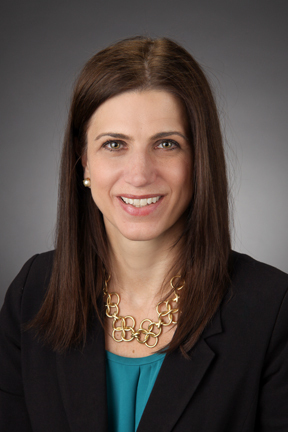 The “AV” rating reflects that a lawyer’s peers rank her “at the highest level of professional excellence.” Ms. Weinstein has also been selected as an Illinois Super Lawyer and in 2012 was named as an Illinois Rising Star. Indiana University School of Law – Indianapolis, IN, J.D.